I began my career as a tropical ecologist interested in amphibians and reptiles, but became a conservation biologist as tropical deforestation advanced in an unabated fashion in the mid-1980s. My scientific study of tropical amphibians and reptiles was being threatened by human disturbance, and my focus shifted towards conservation so I could continue along my academic trajectory. Interacting with a Yanomami tribe in southern Venezuela, watching David Bickford work with highland people in Papua New Guinea, and being part of a field expedition with indigenous people of the Rupununi from central Guyana forever altered my academic path. I have been extremely fortunate to explore some of the earth’s wild places as part of scientific expeditions, but the sad reality of our global circumstances altered my academic aspirations from “pure” to “applied” science. Working to understand and conserve the earth’s biodiversity, especially the luscious riches of the tropics, has become my only scientific goal. My students share those goals and are actively in the field working to understand what amphibians and reptiles can tell us about our changing world. I am a Ph.D. candidate in Mo Donnelly’s lab. I did my undergraduate studies in zoology, marine ecology, and environmental geology at Ohio State University. Following several stints as a field assistant to other members of the Donnelly Lab, I joined the lab myself in 2008. My M.S. research was about what happens to lowland tropical forests when they lose large mammals (like peccaries). I’m currently based out of Cusco, Peru while I collect the data for my dissertation. Every month I venture into a remote mountain range called the Cordillera Vilcanota. 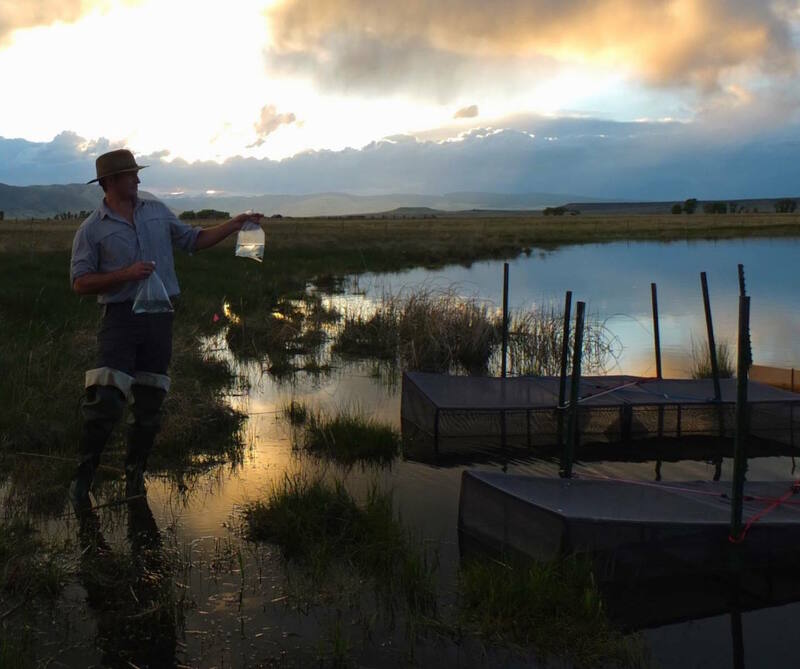 The Vilcanota is home to the highest known amphibian species in the world, and because of climate change, is experiencing rapid environmental changes. New aquatic ecosystems are forming behind the trailing edge of mountain glaciers. Warming temperatures force the ice upslope, and the meltwater collects in ponds in the newly exposed moraines. Although tropical deglaciation provides some of the most obvious evidence of climate change, some of the environmental effects of change are positive for the aquatic organisms that can colonize these new habitats. However, as the glaciers continue to retreat, a major water source for these ponds and wetlands will be lost. Are the new ecosystems created by deglaciation doomed by continued climate change? Are aquatic amphibians migrating up mountains into an ecological trap? These are some of the questions I am addressing. M.S. paper available here: http://www.sciencedirect.com/science/article/pii/S0006320712005137. I received my B.S. in biology from the University of California, San Diego and my M.S. in biology from San Francisco State University with Dr. Eric Routman. 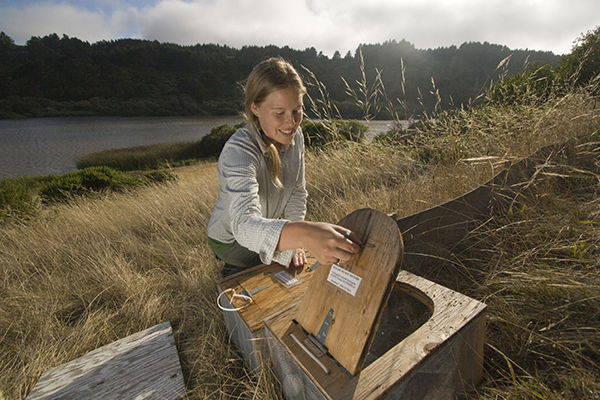 For my Master’s thesis, I worked in collaboration with the US Geological Survey to determine the effects of prescribed fire on a reptile and amphibian community in San Mateo County, California and to better understand the population dynamics of the San Francisco Gartersnake (Thamnophis sirtalis tetrataenia) (photos and brief article: http://www.pumapix.com/portfolio/beautiful-and-endangered/). 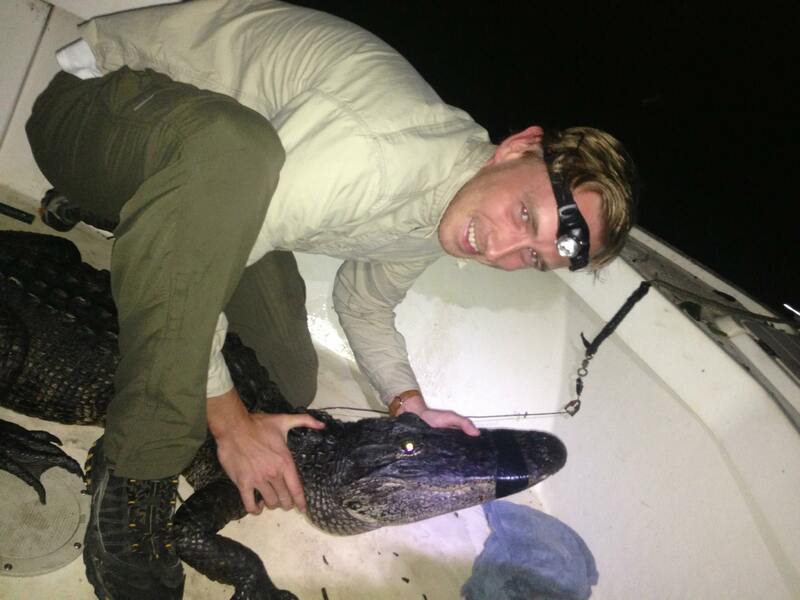 I am currently a Ph.D. student at Florida International University in Mo Donnelly’s lab studying tropical amphibian and reptile ecology and conservation. My dissertation will b focused on the effects of habitat alteration on amphibians and reptiles in Costa Rica. I completed my B.Sc. 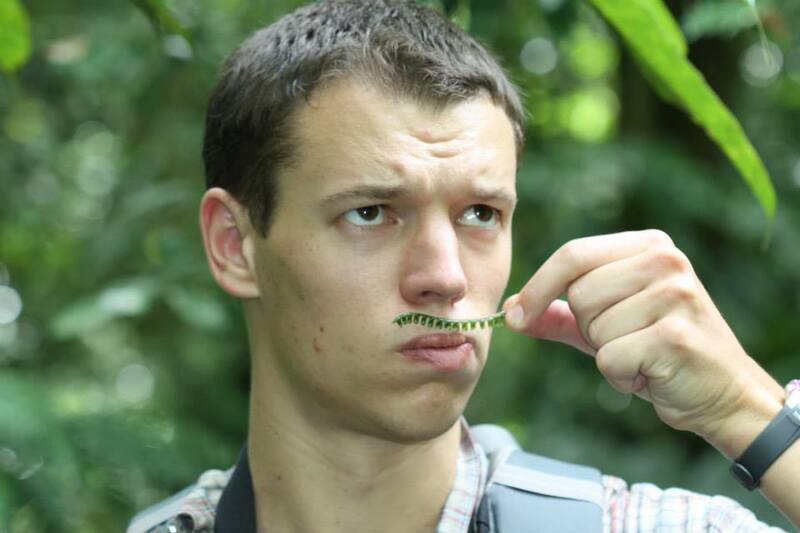 (Hons) in Zoology and Conservation from the University of Wales, Bangor, focussing my dissertation research on the habitat factors affecting herpetofauna community composition in a tropical rainforest (Sulawesi, Indonesia), with the assistance of Dr. Graeme Gillespie and Dr. Wolfgang Wüster. Following this I then completed an M.Sc. by Research at the Centre for Environmental and Marine Sciences (CEMS) at the University of Hull, under the supervision of Dr. Philip Wheeler. Here my primary research involved investigating the spatial ecology of the European adder (Vipera berus) in commercially managed forest plantations and testing the suitability of patch occupancy modelling for monitoring of this species. After a lifetime spent freezing in England, I finally made the leap across the pond to join Dr. Ken Feeley’s lab at FIU. I am interested in how introduced species can be used to ask fundamental questions in ecology and evolution. 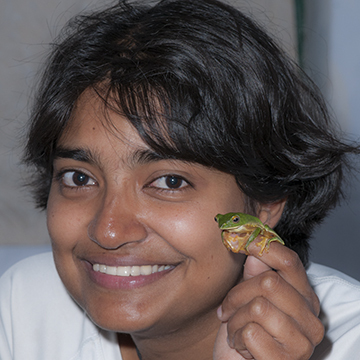 My general research interests are broad, with a focus on landscape and community ecology, often using herpetofauna as model species and study systems, although my interests stretch to all terrestrial vertebrates. Other areas of interest include behavioural ecology, evolution of (polymorphic) mating systems, terrestrial vertebrate ecology and invasion biology. I am a PhD student in the lab of Maureen Donnelly at Florida International University. I completed my undergraduate education at Colgate University in Upstate New York. I worked in the lab of James (Eddie) Watkins, with whom I completed various studies on the ecophysiology of ferns, in New York, Costa Rica, and Panama. 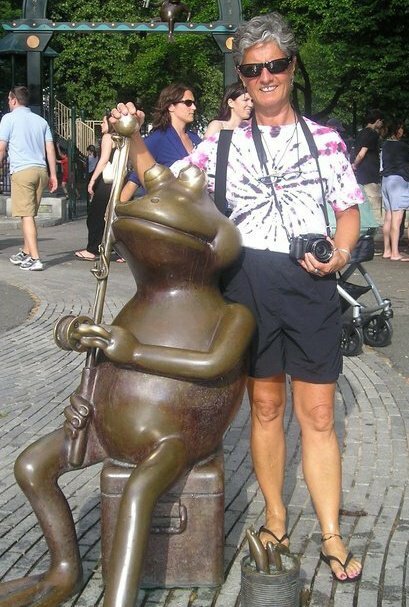 As a graduate student, I have shifted my focus to herpetofauna, specifically amphibians, while approaching problems from a similar ecophysiological perspective. 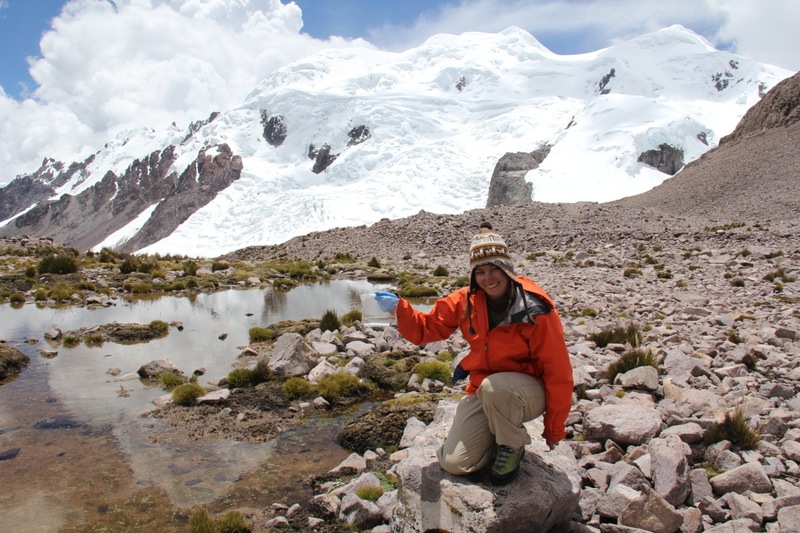 In my research, I want to use amphibian physiology to make predictions about how species in the Andes will respond to climate change. This includes examining intraspecific variation of physiological traits across species’ elevational ranges to examine adaptation/acclimation potential, as well as using physiology to mechanistically model range shifts and predict possible constraints to dispersal (human land use patterns, topographic constraints). 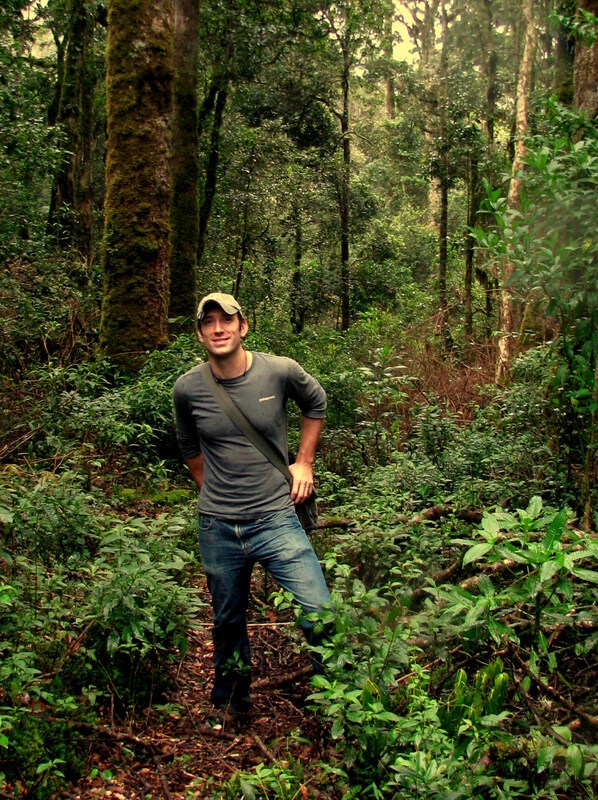 My research has a particular focus on conservation, and I hope to take an active position in planning and implementing conservation initiatives in the tropics. I am from Bogotá, Colombia, where I received my B.S. in Biology. I have been working with reptiles for 5 years, specifically in morphology (muscles and bones). As an undergrad, I did my thesis on the limb musculature of a Colombian anole (Anolis antonii). After that, I became interested in how muscles and bones work together for movement and maximum performance. 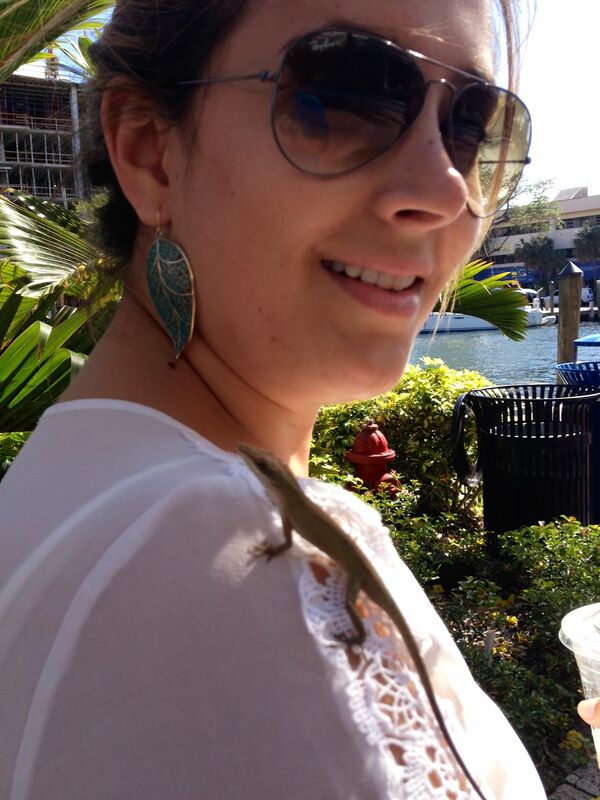 For my PhD project, I will work with Floridian geckos and anoles. I will compare their kinetics, kinematics, and morphological characteristics in order to determine how and why they are adapted either for force or speed, to maximize their performance in the wild and save energy as much as they can. This project will take place in the Animal Locomotion Lab at FIU under my advisor Dr. Kristin Bishop. Even though I work with lizards, I’m also crazy about other herps, from snakes to frogs! I am a Ph.D. candidate in the Donnelly lab at Florida International University. My research is broadly focused on conservation biology and the influence of landscape change on community and genetic diversity. I have collaborated with undergraduates, fellow graduate students, and senior researchers on work in the southeastern U.S. and Costa Rica, with emphasis on amphibian biodiversity loss. Of the processes that influence diversity, I am particularly interested in animal movement and factors that may determine rates of dispersal and gene flow in patchy landscapes (e.g., migrant survival, and individual behavior). For my dissertation work, I am studying the influence of land-use change on connectivity and diversity of amphibians in forest remnants in Sarapiquí, Costa Rica. Some of my recent field and modeling efforts have also focused on understanding variation in species’ tolerances to matrix habitat and the interaction between land-use change and other threats to amphibian biodiversity in Sarapiquí. I grew up in India in a sprawling 2400 Acre University campus, something that has contributed immensely to my interest in the outdoors. Several short term projects as an undergrad got me interested in working with Herpetofauna. I met Maureen as a freshman in India and joined the Donnelly lab to work towards a PhD in 2009. I am now particularly interested in studying how fragmented and highly managed landscapes support biodiversity. Currently, I am based in the Southern Western Ghats where I study amphibian assemblages in different habitats in a fragmented active tea plantation. After a particularly dry sampling season last year, I am very excited about what look like promising monsoons this year. I am currently pursuing my Ph.D. in marine biology under Dr. Michael Heithaus. I am broadly interested in the foraging ecology and in-water behavior of marine turtles, and my current research, in collaboration with Dr. Craig Layman, is focused on sub-adult green (Chelonia mydas) and hawksbill (Eretmochelys imbricata) turtles that populate the diverse near-shore habitats surrounding Abaco, Bahamas. 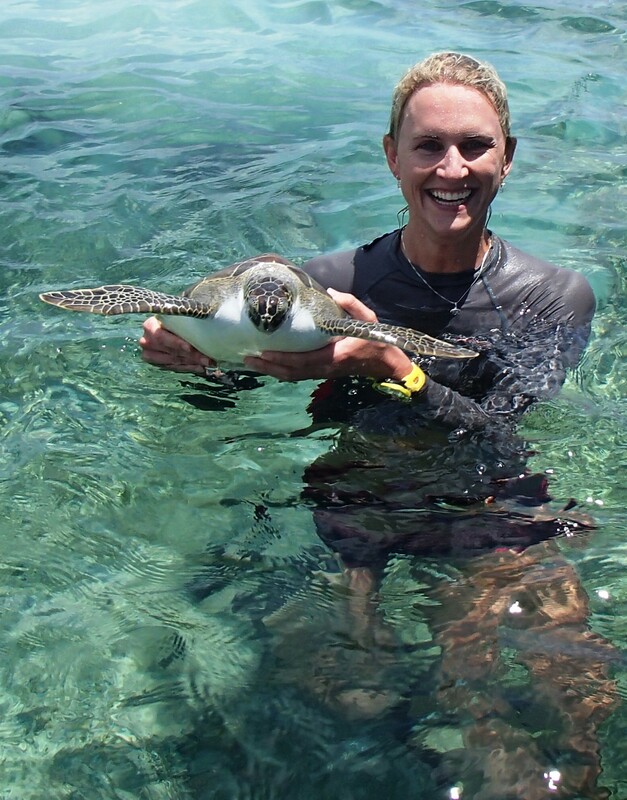 I employ a variety of methods including animal-borne imaging and data collection, habitat mapping, and stable isotope analysis for an in-depth study of the ecosystem role of turtles in coastal marine systems. I will also be working with Friends of the Environment, a non-profit organization on Abaco, to share scientific knowledge with local schools and the communities. I previously earned my Master of Science degree at the University of Virginia where I studied the hydrodynamics affecting larval transport and settlement onto intertidal oyster reefs. I am an undergraduate student studying for my Bachelor of Science in biology at Florida International University. I have a long standing interest in reptiles (snakes in particular), and intend on pursuing graduate studies. My interests include how animals respond to human encroachment and development, and the ecology of invasive species, as well as quantifying the efficacy of environmental restoration projects. Having lived in Miami Florida for most of my life, I am very fortunate to have grown up around an abundance of wild reptiles, both in national parks and preserves, and in my very own back yard! Mike is a PhD student in Dr. Joel Trexler’s aquatic ecology lab. He primarily focuses on animal movement and how it is affected by landscape structure. 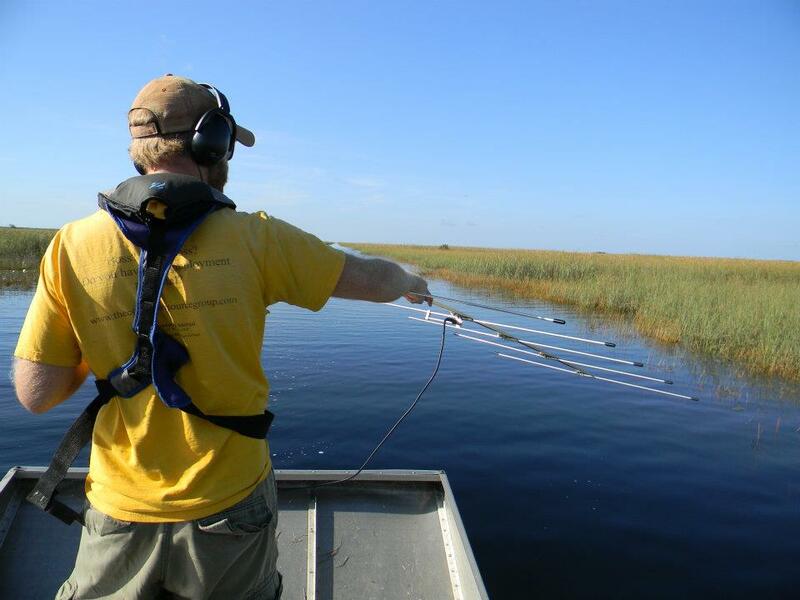 This works takes place in the central Everglades as part of the Decomp Physical Model, a major component of Everglades restoration. While his study organisms tend to be fishes, he is also interested in herps and how they are affected by restoration efforts. Part of his dissertation work does include collecting aquatic community data, which includes newts, tadpoles, and sirens. 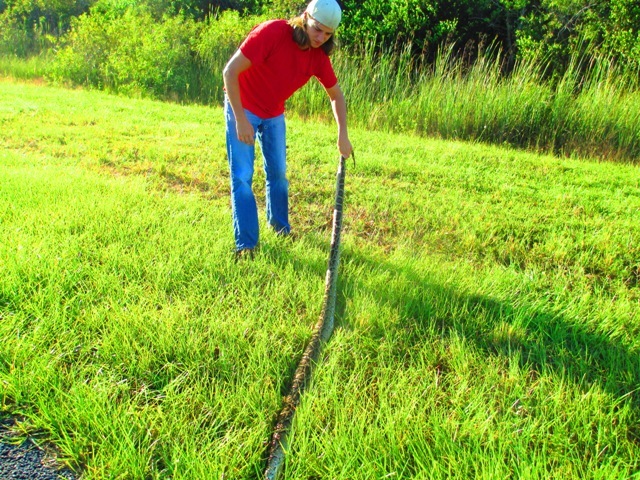 Few sampling events go by when he doesn’t have to deal with several angry (bitey) water snakes captured in minnow traps. How these different herp species are affected by alteration of the landscape due to restoration efforts will hopefully provide data that can progress conservation efforts.